UFO SIGHTINGS DAILY: Mysterious Shrieking Noise in Oregon, Feb 2016, TV News Videos, UFO Sighting News. 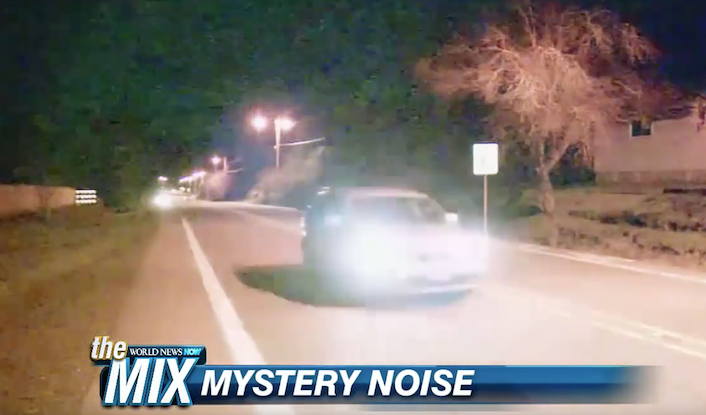 Mysterious Shrieking Noise in Oregon, Feb 2016, TV News Videos, UFO Sighting News. Around the world, strange sounds echoing across the cities are being heard. No one knows where they are coming from and no one has any answers. Often people say it sounds as if its coming from under the ground or from above in the sky itself. Is it caused by a hovering UFO in the area? Or perhaps a newly active alien base under ground? Whatever this is...people are becoming concerned. There may be a way to find it. 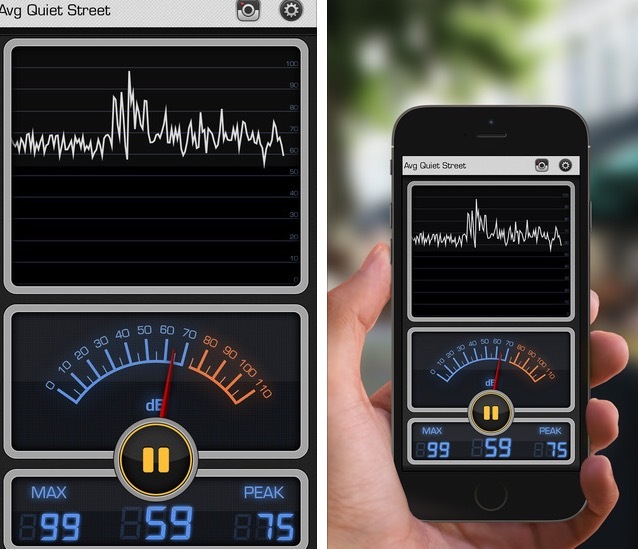 There are apps that you can download on your phone that measure the strength of the sound. If you live in this city, download one or two and open it up. 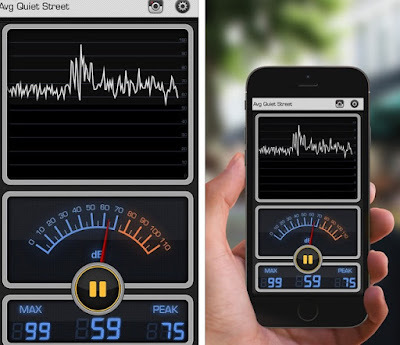 I use "Decibel 10th" app, heres a screenshot. Move locations in 30-50 meter intervals until the app indicates the sound is getting stronger. Eventually you will find the epicenter of the sound, but you might want to use some earplugs. Good hunting. A mysterious shrieking sound has left the residents of one Oregon neighborhood seriously perplexed. 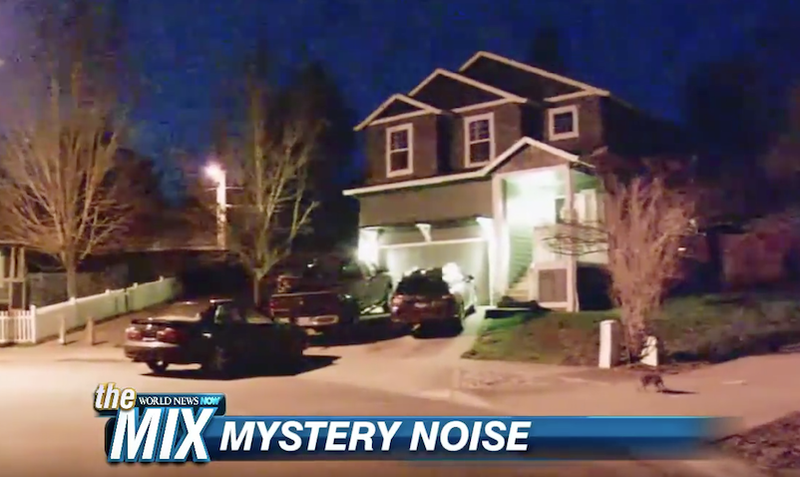 Dave Nemeyer, fire marshal of the Forest Grove Fire and Rescue in Forest Grove, Oregon, told ABC News that he first learned of the strange noise after a local resident recorded and shared a video of it on the city's Facebook page. "It's definitely a horrendous noise," Nemeyer said. "I have no idea what the noise is. [The resident] described to us that it was coming from the middle of the street. To me, it sounds like the sound of train tracks, that metal screeching sound, but there are no train tracks near her home ... so that's obviously ruled out." Rick Vanderkin, the city's public works superintendent, told ABC News that very few people have heard the sound, making it difficult to locate and even more difficult to make an "educated guess as to what's creating the noise." So far, officials have ruled out a water valve, a gas leak and wildlife as possible culprits. Forest Grove resident Colleen Ahrens told ABC News affiliate KATU in Portland that she's been woken up three or four times by the sound. "It almost sounds like someone needs to change their brakes," she said. Ahrens said her husband is a mechanic and when she described the noise to him, he thought a worn brake pad could be the source. But after she listened to the recording, she's not so sure anymore. Chester Epperson, who lives across the street from Ahrens, hadn't heard the sound himself, but dismissed it after KATU played the recording for him. "Maybe 'The X-Files' back on TV again," Epperson joked. "High-pitched, it's got a pause. I'll keep my ears out."